Please note that this competition takes place on a Sunday. There is a strict competitor cap of 110 competitors. Before registering, please review the "Registration and Payments" tab. You must register on this website AND pay at the university's payment page before you are considered registered. Registration is now closed. If you do not register AND pay before the competition fills up or before registration closes, you will not be able to compete. Please note that this link is a secure payment form set up through the university. When you register, it will say you are "on the waiting list". This means your payment has not yet been confirmed. If your payment is unconfirmed for over 24 hours, please contact the delegate. WPI Students and Faculty may compete for free. Please leave a registration comment stating that you are a student or faculty member and do not pay. Please contact the delegate if your registration is not approved for over 24 hours. Spectators may attend free of charge and without registration. 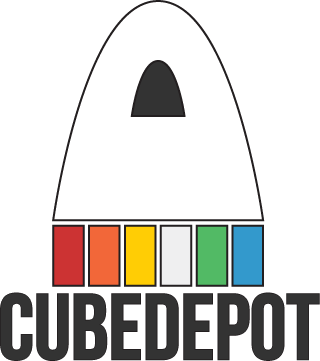 We are sponsored by Cube Depot. They will both be vending at the competition and giving prizes to the winners. Please note that all cutoffs, time limits, and the schedule are subject to change. Because of the proximity of various dining options, we will not be providing lunch. There are several restaurants on Highland Avenue (5 minutes from the venue), including a pizza place (Tech Pizza). There is also an on-campus dining option: buying food from the Campus Center (soups, sandwiches, burritos, etc), which is located in the same building as the competition. Please know your groups for the day of the competition - individual names will not be called! Please click here for a campus map. The event takes place in the Rubin Campus Center (#7 on the map). If you are driving, you will be able to park in the parking garage on Park Avenue. Please print out the placecard that was sent by email and place it on your car when parking.